A lot of people are scared of talking about their feelings or emotions. This is particularly apparent in British culture. So heaven forbid anyone talks about mental health/ illness. Depression, anxiety, OCD, PTSD, eating disorders or suicide are things to be talked about behind the closed doors of a sterile counsellors room with the obligatory box of issues, dead plant and some peculiar looking piece of art which I'm sure is meant to calm you but does anything but. Wrong. This is the wrong attitude to have. Talking about mental health should be as common as talking about the weather. Which for us Brits should be pretty bloody common. But we don't. We have this stiff upper lip which needs to change. 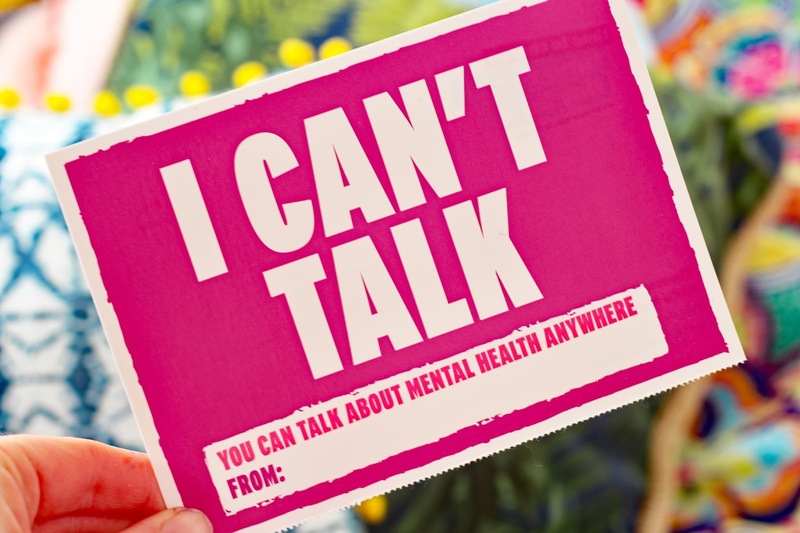 This Thursday (1st February) is the charity's Time to Change, Time to Talk Day, in which they encourage and spread awareness of the importance of talking about mental health. Everyone can and should get involved with this incredibly important day. Whether you are at school, uni or work, you can get involved and spread awareness. 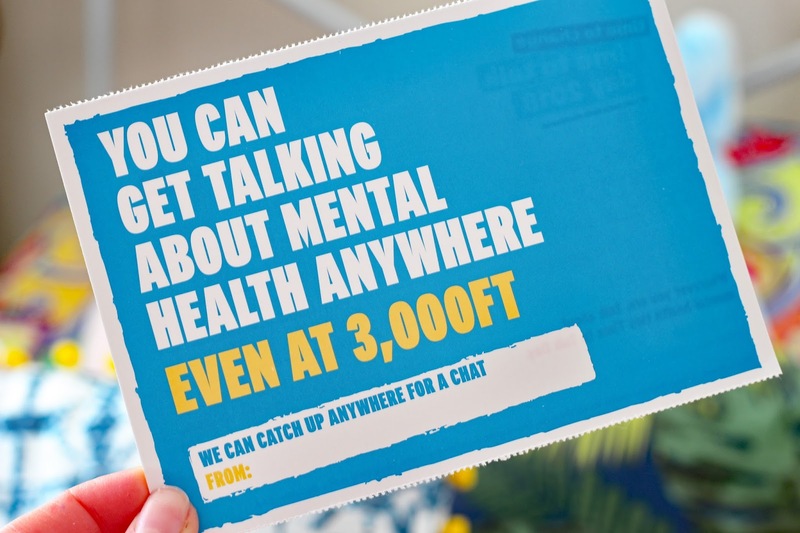 If it's too late to organise an event for the big day, don't worry you can still encourage the people around you in your local community or friendship circle to start talking about mental health. Whether you talk to one person or 100- nothing is too big or too small. However, everything you do is important. For people like me, a mental health blogger and passionate advocate talking about mental health is second nature. I'm very open about my mental health to help encourage others to talk about their own experiences and raise awareness of just how destructive mental illness can be to so many individuals lives as well as to the people around them. I'm fully aware it is not this easy for everyone though. 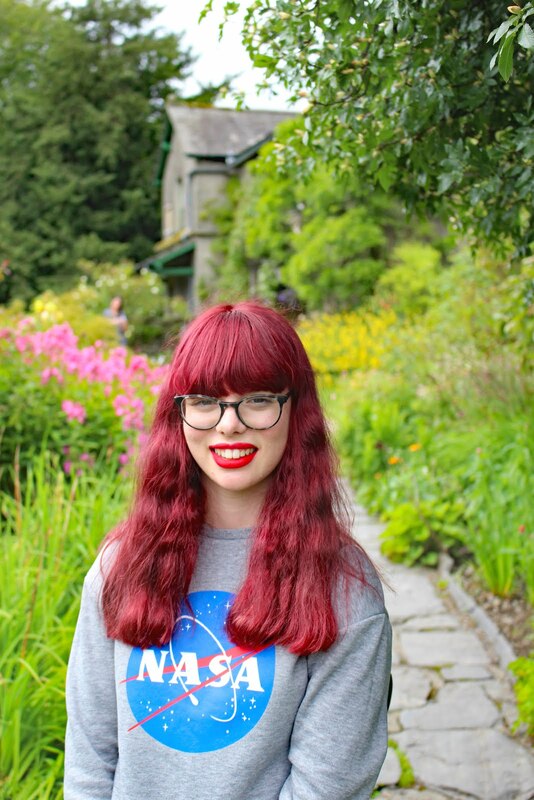 I remember the first thing I tried to talk about my own experiences; I was so worried that people would judge me, think I was attention seeking or just completely disregard what I was saying because I looked a 'normal' put together human on the outside. I soon learnt that talking about mental health doesn't have to be a scary or daunting experience. I am definitely not alone, and there are people out there who really do care and will do whatever they can to help or support me. Over the years I had my fair share of experiences of talking about mental health. Both being the person listening and the person sharing. Which is why I've rounded up some tips for you guys to, help you overcome any worries or concerns you have about talking about mental health, whether you're the listener or sharer. For a lot of people, this is their reasoning for not feeling able to talk about mental health with their friends or family. I've been there too, way too many times actually. Friends and even teachers can recognise I was clearly in distress whether that be mid panic attack or during a particularly bad episode of Depression but they do nothing. They don't want to say the wrong thing. A clear of example of this is not wanting to ask someone if they are suicidal in case it puts the idea in their head. Let me tell you; there is no such thing as saying the wrong thing. Obviously, you could say some pretty insensitive stuff. "Just get over it" "People have it worse" "You have nothing to be sad/anxious about" are big no-nos. However, if you are a kind-hearted person who genuinely cares about the individual, I doubt you will say the wrong thing. They will just be thankful that you are there. Trust me, having someone to talk to about the demons in your head can be a lifesaver. No one is really an expert on humans. Even psychologists and therapists are not experts. You can never be an expert in human behaviour or people. They may have refined their skills, read a lot of books and done a lot of training to help certain types of people, in western culture, deal with certain types of problems. If you put them in another culture, they wouldn't have a clue. Stick them in an African tribe, its unlikely they would know the traditions and customs there. Just remember that when you start coming up with the excuse of 'not being an expert'. You don't need to be an expert. The only thing you really need to be is a human being with compassion and empathy. Which I'm pretty sure if you're reading this, you fulfil that criteria, so well done, off you go and get talking about mental health. No one wants to feel like they are being confronted at the best of times, but when talking about mental health, it is even more important that the environment is comfortable. Talking about mental health is never easy especially for people who have kept their demons to themselves for what could be years. Letting the person know they can open up about their struggles, isn't going to be easy. However, a key to making the experience more bearable is a comforting environment. So, what do I actually mean by a comfortable environment? Somewhere familiar, maybe in your front room over a cup of tea or in a park, where it is nice and quiet. I genuinely think peaceful and quieter places are best, so they feel they can be heard. If it is the only option, then fine but public places aren't always great, as the individual may not feel like they can properly open up and cry for fear of being judged. You can make a big difference in how comfortable they feel. I mentioned earlier that you don't have to be an expert and that still stands. However, what you do need to be is a good listener. To be a good listener, all you really need is two good working ears. Of course, in reality, there is a bit more than that involved. You need to let the person speak freely without interruption. Although, it may be frustrating especially if they are getting upset, please try not to put words in their mouth. The only way you will really know whats wrong, and the best way to help is if you pause and let them tell you. You may think you have all the solutions and you can make it all the better for them. That is great. But before all that, the best thing you can do is listen. Don't worry if you don't have a clue what to do. You don't have to be some kind of cartoon superhero who is going to fly in and save the day with magical superpowers. Sometimes, there isn't always an easy solution. Mental health is complex. There may not always be a cause of someone's anxiety or depression. If there is it could be complex; years of suppressed trauma. Although it may seem very overwhelming and incredibly daunting, you don't have to take all these problems on yourself and try to find a magic cure. Just being supportive, reassuring them you will be there every step of the way to help them get the help they need, whatever that be, is better than trying to think you have all the answers and make a bad situation even worse. Whether this is the first or 31st time you are talking about your mental health. Whether it is with a judgmental friend or to your boss, you should be SO proud of yourself. It takes a lot of guts to talk about your mental health. It is very easy to overlook how hard talking about mental health is sometimes. But please don't- it is a HUGE achievement. It takes a lot to talk about mental health what with stigma and just a general lack of understanding of the mass majority of people in society. Why would you want to share how you're really feeling to be confronted with "Yeah, I get sad too sometimes" making you feel even worse like you are making a big fuss over nothing. Trust me, you are not, and you should be super proud of yourself. I remember vividly when I first told one of my teachers I had OCD and I had to miss her lesson to go to group therapy sessions. I was shaking like a leaf, and I didn't think I breathed properly for a good couple of minutes. Talking about mental health isn't easy, but it is OKAY! You are not going to die because you are doing the right thing. If you can, before doing so, listen to some peaceful music or practice some breathing exercises. There are a lot of videos and apps which you can breathe along to, to help you calm down. If you know you need to tell someone and you find yourself getting worked up about it, the night or even days before, distract yourself. Watch funny cat videos or do something productive like reorganising your wardrobe. It can be ANYTHING! 99% of the worry is worse than the thing itself. If you are preparing yourself to tell your family or friends about your mental illness, it may be easier to write a few notes down beforehand, if you are worried that you are going to get upset and not be able to remember what you wanted to say. It's your choice whether you show these to your friends/family or not. You can make notes about how you feel when things started to go downhill for you, how would you like people to help you and maybe a few notes about a plan going forward. They don't have to be set in stone. If you change your mind last minute and don't want to tell them everything you have listed, that's okay too. Just getting even the smallest thing of your chest is a step forward and is better than keeping everything to yourself. If no one knows about your mental health struggles, this tip renders pretty useless. However, if someone does know, maybe your sister, best friend or mum and you need to tell someone else maybe a judgemental family member, scary teacher or doctor, take them with you. They don't have to say or do anything if you don't want them to. But from personal experience, I know how comforting it is having that moral support with you. Whether they are just there to hold your hand or comfort you if you get upset, they can be vital in making the experience less terrifying. 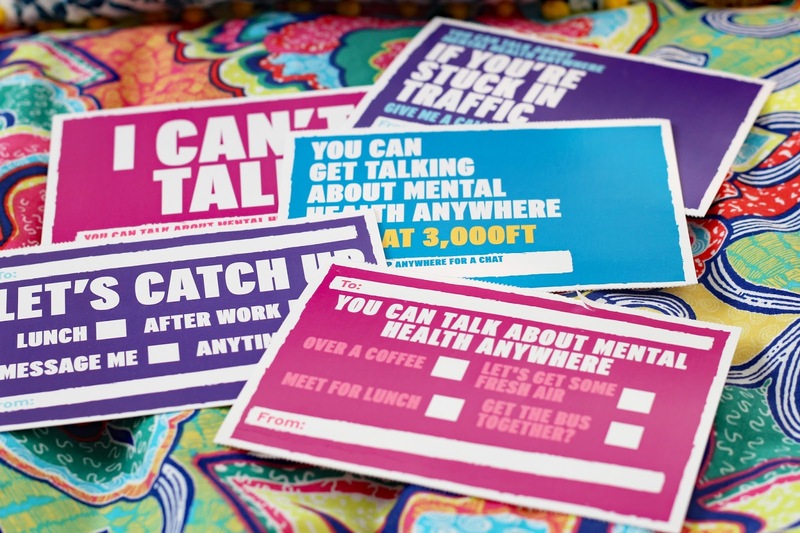 If you do get upset and struggle to get your voice heard, they can step in, bearing in mind they have a good understanding of your mental health and wishes. They can help you get the support and advice you need. I can't sit here and tell you that it is all going to be okay. I can promise that everyone you talk to about your mental health struggles, is going to understand, want to help or even believe you. I wish I could. I really do, but it's not possible. There is mental health stigma, arrogant people who don't think mental illness even exists, and there are even people, the people who care about you the most who don't want to accept there is something wrong because that in itself is terrifying. In short, there are lots of reasons why talking about your mental health may not always go to plan. But that shouldn't put you off trying. I promise for every judgemental person out there, there is someone who cares. For every person, who disbelieves you there are people who will do ANYTHING to support you. Sometimes you have to go through these difficult conversations to find out who you'll real rocks are. It is not always easy. But you are stronger. I really hope you find these tips useful, whether you are the listener or the sharer. Talking about mental health is never easy, but with little steps is definitely something we can ALL do and something we should all be doing more of. I really hope you get to have a mental health conversation tomorrow on Time to talk day. But please remember, talking about mental health extends past just one day of the year. It is something we all need to be doing, a little bit more. To get involved in the day, you can download some materials HERE. This is great advice. So many people are scared of talking about mental health. I can clear a room just by mentioning the word depression! I don't necessarily want to share my deep dark feelings with everybody but I just mention depression because it's part of my life. Having depression and anxiety is not something I'm prepared to be ashamed of but lots of people feel awkward as soon as it's mentioned. Unfortunately they are not the people most likely to be reading a helpful post like this one! But it's good that you're putting great advice out there for when people come looking. "don't worry about not having the answers". Possibly one of the truest things and the most important to hold onto, as i think it removes some of the fear of talking/being there for someone. Sometimes it's enough to just say "i'm here, i'm here to listen and i'm not going anywhere. " The จีคลับ recommends the benefits of orange juice (Orange) that many people overlook. จีคลับ online gambling games that allow players to play a lot of fun and entertainment when they come to play gambling games with the on-line casino games that are played easily. At home of the players themselves directly. And today the web we talk about. The medicinal properties of orange smooth. Consists of Nutrition is essential to the body of the Era. Whether it is vitamin or mineral. Especially the effect of orange juice is a lot of vitamin C. In addition to the nutritional value of the various parts of the orange are all medicinal properties, such as fruit and bark, the fruit of the orange fruit has the ability to cure cold symptoms. It also relieves sore throat. The shell of orange juice can be eaten to relieve sore throat. The peel of orange can be eaten to relieve flatulence. And reduce the hardness of the skin. Helps to keep skin free from black spots.